w/gold jewel & long ivory veil. Includes: Medieval full length panne stretch velvet gown accented w/black bodice & royal (navy) blue sleeves & skirt w/hoop & tulle petticoat. 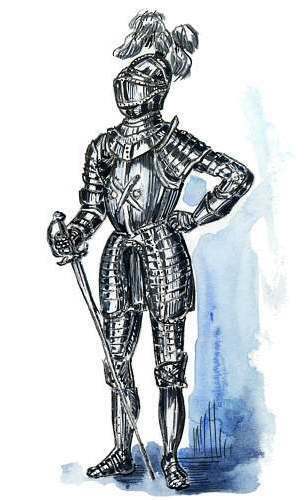 Royal blue sleeves are fitted to elbow & then bell out to a funnel shape. White faux fur collar, cuffs & trim. Gold inset matches belt detail. White & gold brocade underpanel w/blue & gold braid trim throughout. Matching blue headpiece w/attached rhinestone. Excellent for & very flattering on larger women. velvet dress w/drop sleeves, ivory velvet panel inset & gold metallic trim at inset & neckline. Includes: Floor length empire waist panne' velvet dress with gathered sleeves, ivory velvet panel inset and gold metallic trim at inset and neckline. Cranberry and Black dress with silver trim accent and matching renaissance headpiece. 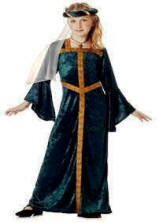 Forest green and gold, lace up back, top with separate floor length skirt (2 piece) and matching renaissance headpiece. Floor length empire waist gown in Cranberry with black and gold accents and matching cap. 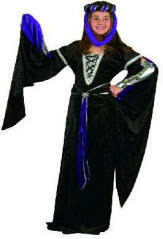 Royal blue empire waist gown with gathered sleeves, gold accents & matching cap headpiece. 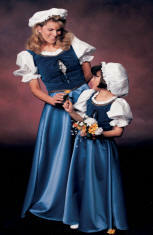 Royal blue empire waist gown with gathered sleeves, gold accents and matching cap headpiece. Blue Satin empire waist floor length dress accented w/silver metallic braided trim, blue & silver brocade trim at bodice & sleeve, white satin inset, medallion at bodice & matching renaissance headpiece. Same as above but with gold metallic braid trim instead of silver. Blue Satin empire waist gown with accented with brocade inset, gold metallic trim & matching renaissance headpiece. Royal blue gown accented with gold trim and matching renaissance headpiece. with black inset at shoulder, brocade inset at bodice, tulle shoulder drape, gold metallic trim & matching renaissance headpiece. Beautiful floor length empire waist gown in mint green and black with attached shoulder drapes, gold trim and matching renaissance headpiece. Floor length lavender gown with matching jewel & pink lace up ties at bodice, gold trimmed brocade panel in front & matching renaissance headpiece. Floor length empire waist gown in light pink with contrasting sleeves, accenting silver trim & matching renaissance headpiece. Floor length dress w/detailed gold trim & matching renaissance headpiece. 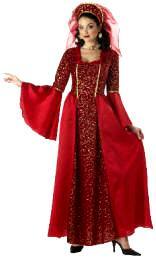 Floor length empire waist gown with matching renaissance headpiece. 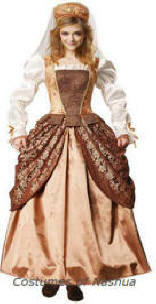 Floor length empire waist gown with gold trim, brocade at bodice & matching renaissance headpiece. 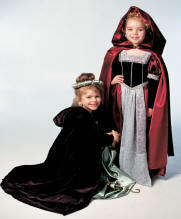 Floor length velvet dress, belt w/detailed gold trim & matching renaissance headpiece. 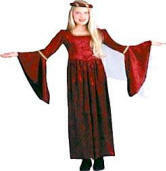 Floor length velvet dress, belt with detailed gold trim and matching renaissance headpiece. with gold trim on bodice. Light Blue & white floor length dress with gold trim & faux pearl headpiece. 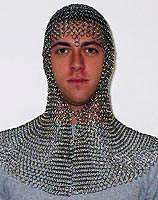 Same as Above but in Child Size. Maroon/Plum floor length dress accented w/metallic gold trim & brocade at bodice & sleeves, white ruffle at bodice, sleeve inset & cuff, & matching jeweled headpiece. Maroon/Plum empire waist floor length dress accented w/white faux pearls, brocade & medallion at bodice & sleeves & matching jeweled renaissance headpiece. 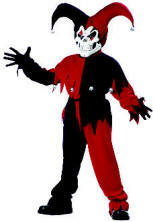 Includes: Corset with attached sleeves, skirt with attached sash and drape, headpiece.  Light Blue Floor length peasant dress with lace up front & mop cap. Includes: Floor length empire waist velvet dress with train accented at bodice & shoulders w/gold metallic trim. Includes: Satin dress w/stretchy poly velvet bodice & inset, embossed gold trim at bodice, inset & elbow, ruffled neckline, matching velvet headpiece & chiffon veil. Includes: Stretchy Crushed Velvet Dress w/gold & black metallic trim at neckline & elbow with matching velvet headpiece & chiffon veil. Includes: Stretchy Crushed Velvet Dress w/gold metallic trim at neckline & bodice, bell sleeves & matching velvet renaissance headpiece w/chiffon veil. Only purple size S available. Includes: Stretchy Crushed Velvet Dress w/gold metallic trim at neckline & bodice, bell sleeves and matching velvet renaissance headpiece w/chiffon veil. Includes: Stretchy Crushed Velvet Velour Dress w/gold metallic trim at neckline, bodice and front, bell sleeves and matching velvet renaissance headpiece w/chiffon veil. Includes: Velvet Velour Dress w/woven ribbon gold metallic trim at neckline, bodice & front, bell sleeves & matching velvet renaissance headpiece w/chiffon veil. 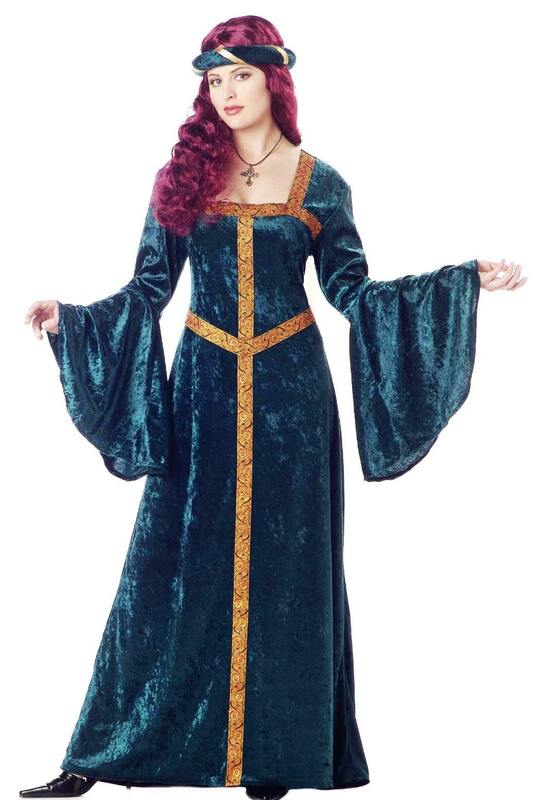 Includes: Panne Velvet gown with metallic trim & lame accent, matching renaissance headpiece & lame gloves. Includes: Stretchy Crushed Velvet Velour Dress w/gold metallic trim, sheer sleeve insets and matching velvet renaissance headpiece w/chiffon veil. Includes: Hunter Green Velvet Dress with Brown Velvet sleeves, bodice & front panel accent, metallic gold brocade corset & Burgundy Velvet Renaissance Headpiece. Includes: Metallic Gold Brocade Tunic with attached Brown cape, Metallic Mesh Sleeves and Hooded Cowl. 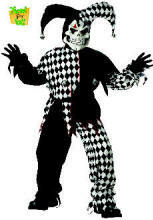 Color: Black with Dark Wine. Beautiful eggshell white gown with laced front, tapered sleeves and hat with an attached veil. Floor length gown with wrapped collar & gold metallic trim. Dark blue dress with brocade satin ivory panel inset & sleeves. Includes: Skirt, blouse, hat, and cummerbund. Beautiful two tone burgundy off the shoulder floor length gown with hallowed sleeves and lace trim. This dress is perfect for summer weddings.